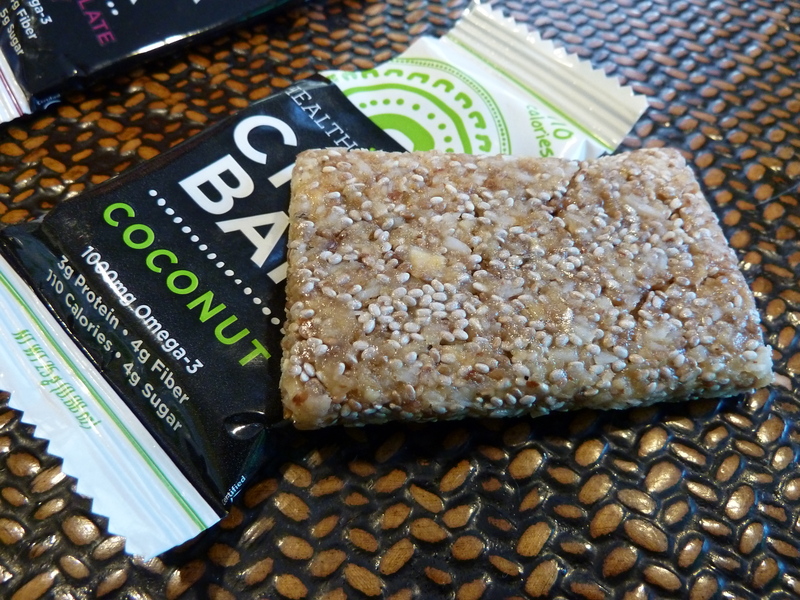 Health Warrior Chia Bar Coconut power bars are very fun little snack bars that are loaded with different textures. They are gluten free, soy free, GMO free and 100% vegan. Each little bar has 3 grams of protein and 4 g of fiber. You’ll notice how I keep referencing how small these are – I was really surprised by their size. I guess I just assumed they would be bigger, but they’re not. The neat thing, though, is that I really love their size! They are the perfect little snack packed with a powerful punch of 3 grams of protein and 4 g of fiber. 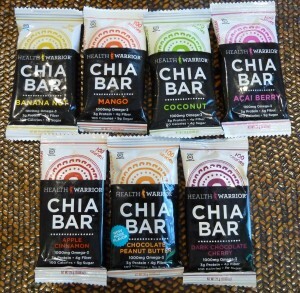 I really enjoy food with texture and these Chia Bars without a doubt meet that need I have. I also think they are quite good – but taste is a hard thing when it comes to reviews because everyone’s tastes are slightly different. Nonetheless, if you like chia seeds, coconut and texture, I think you’ll love these little bars. I did read some Amazon reviews on the Health Warrior Chia Bar Coconut power bars and many people mentioned how the chia seeds can get caught in your teeth – this is true, but I sort of like them getting stuck as it gives my tongue something to do after I have consumed a bar and also I like the reminder that I ate something good for me. 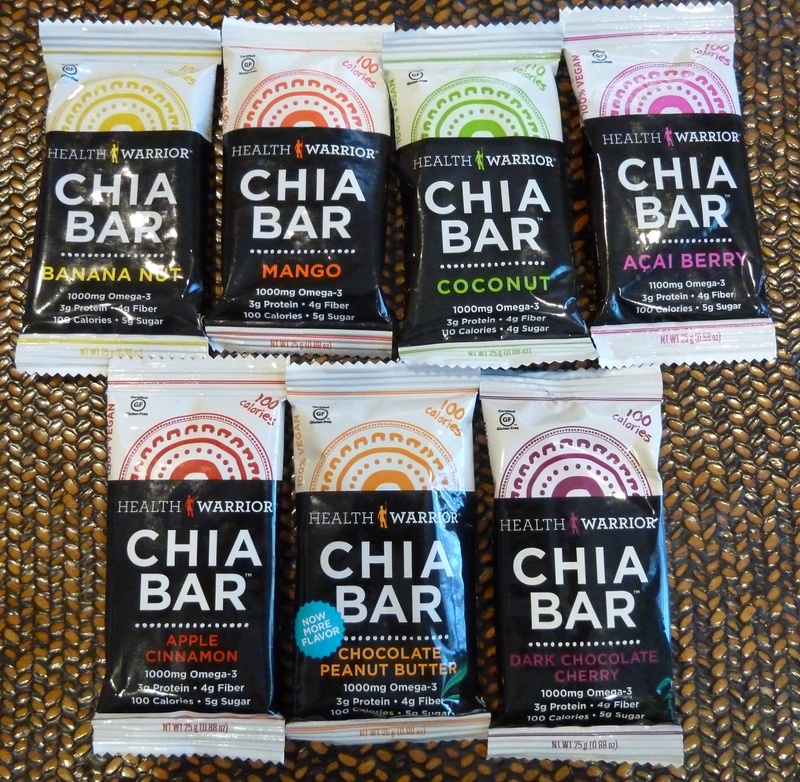 Buy a pack of 15 Health Warrior Chia Bar Coconut or try a Health Warrior Chia Bar variety pack. We received the The Health Warrior Chia Bar Coconut for review from the manufacturer. Receiving the free product did not influence this post.